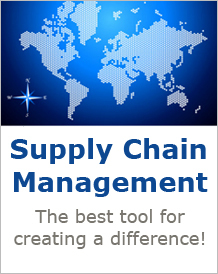 To create and maintain a body of Supply Chain Professionals. To get SCM recognized as a separate and specialized field of management. To create awareness about SCM concepts and methodology in the industry. To highlight the importance of the role of SCM within the corporate framework. To create networking opportunities among the community of Supply Chain professionals both at the professional and social level through meetings, conferences, seminars, workshops and social events. To exchange information with other bodies both nationally and internationally and keep its members updated about cutting edge professional practices. To provide opportunities and facilities for study and certification. To encourage business concerns to join the association as corporate members. It has been almost 2 year since SCAP�s inception in August 2008. Currently SCAP has two chapters operating in Pakistan, i.e. Karachi and Lahore Chapters. SCAP is duly registered under the Societies Registration Act, XXI of 1860. Supply Chain Professionals from organizations like Unilever, ICI, Parazelsus, J&P Coats, Engro Polymer, Agility Logistics, Tetley, IBA and NED are among the founding members and many industry professionals are joining. SCAP has organized various events over the past year and details of these events are present on the Events page.